I’m starting to wrap up the celebrities project that I’ve been working on for the past year – which means that my posts will likely not revolve around Hollywood quite so much! 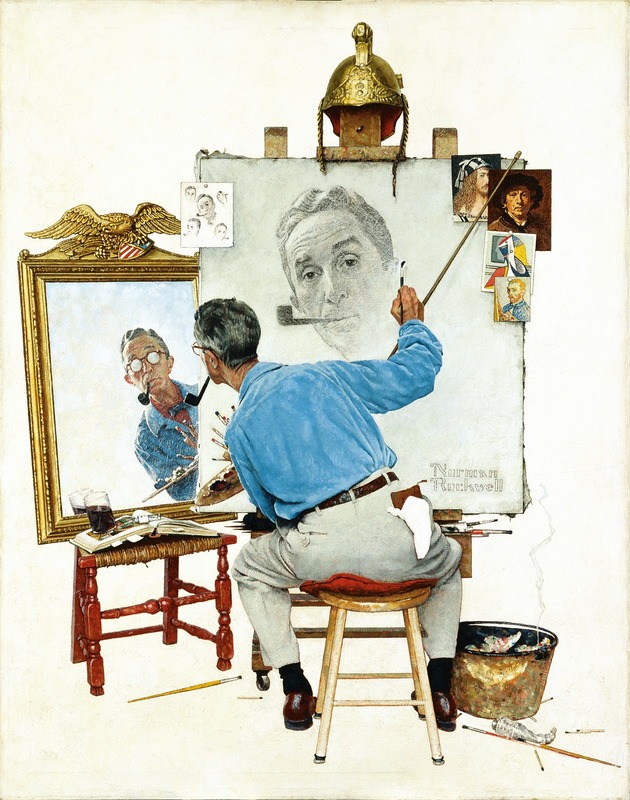 In trying to learn more about Bing Crosby’s interest in art, I stumbled across a portrait of Bing Crosby by Norman Rockwell. This was made in 1966, when Norman Rockwell painted a series of character portraits for the Twentieth Century Fox production of Stagecoach. 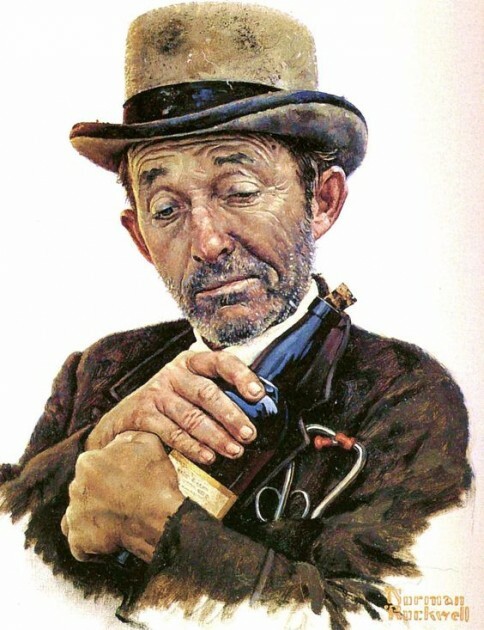 The Norman Rockwell Museum explains that Bing Crosby’s character in the film, Doc Boone, is a drunken doctor. 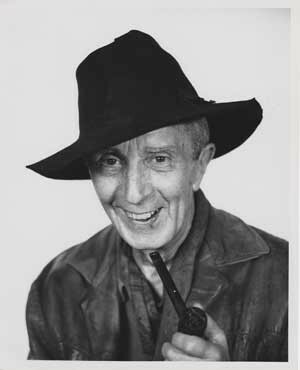 When sitting for the portrait, Bing Crosby picked up a bottle and caressed it, which gave Rockwell the “hook” needed to create a convincing sense of the character. 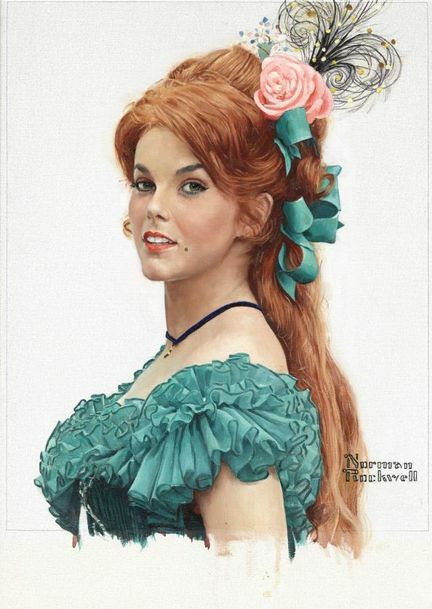 My other favorite portrait from this series is of Ann-Margret as the character “Dallas.” The color combination of the green costume with her red hair is very striking. The portraits were used for the end credits of the film, as well as on promotional material for the film like posters. Rockwell also painted a large, eight-foot mural of the set, which was used for promotional material as well. 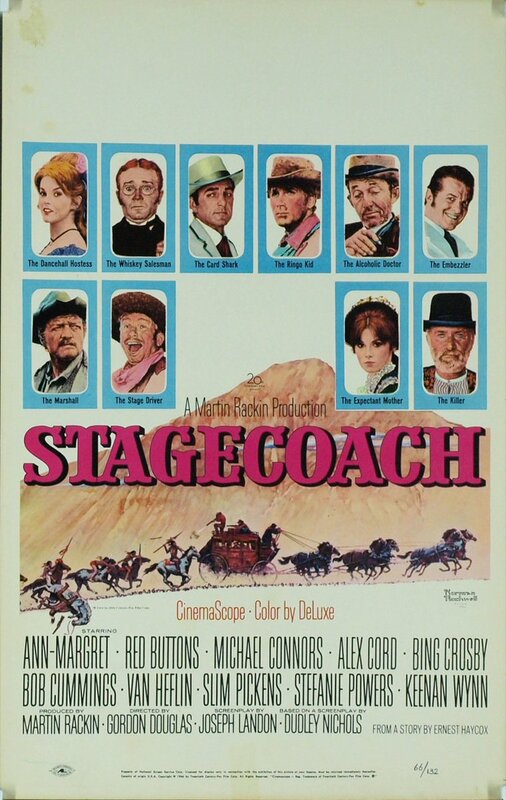 Interestingly, though, Norman Rockwell’s participation with Stagecoach didn’t end there. He also ended up participating on the set of the film too! 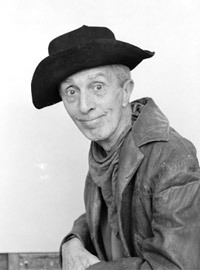 At seventy-two years old, Rockwell was placed in the role of “Busted Flush” Rockwell. 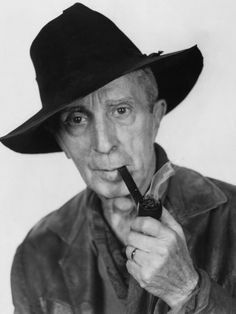 The Norman Rockwell Museum website explains that a Look magazine article discussed Rockwell’s character as “a mangy old gambler in cowboy costume, with a bad-guy black hat and high-heeled boots that hurt his feet.” Norman Rockwell is shown in the opening sequence of the show, seated at the gambling table (see 6:11 of this video of the film). Do you know of any other artists that had a role in both creating promotional material for a Hollywood film and also participating within the film too? I think I need to rewatch Stagecoach! Wow! I never knew this about Rockwell. I had him stereotyped as the Saturday Evening Post guy at that’s it! How interesting, thanks!